Herbs have been used by all cultures in many forms since ancient times. They are used as a part of food, beverages, functional foods, dietary supplements, medicines, nutraceuticals, cosmetics, teas, oils, personal care, aromatics & perfumery and so on. 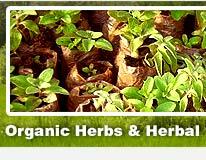 AayurMed offers over 300 Natural and Organic herbs. Organic herbs are certified by OneCert under NOP of USDA, European Commission Regulation (EEC) 834/2007 and Regulation (EC) 1235/2008 and NPOP of India. Other certifications can be obtained, if required. These can be fresh or air dried herbs. We can supply different parts of the plants as required. These are normally between 60 and 100 mesh sizes, but can be any size, as required. We can blend herbs as per the requirements of customers. You can give us a formula or ask us for recommendations for the results you desire. Stevia Rebaudiana is a wonderful sweet herb devoid of calories and diabetes risk, which provides a natural and safe alternative for sugar and chemical sweeteners. Stevia has been used by many Latin American cultures for centuries and is today widely used in many countries either as a sweetener or as nutrition supplement. Stevia plants (both tissue culture and saplings) are available. 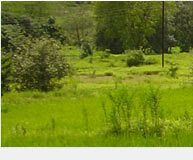 Contract farming arrangements are also offered with 100% buy-back. Herb powders can be filled in capsules. We can provide gelatin as well as vegetable capsules. We can also provide capsules of different sizes from 1 mg to 5 mg.
Organic herbs can also be converted to tablets and supplied loose or in blister packs.